Blaze and AJ are bursting back onto DVD with the all-new release, Blaze and the Monster Machines: Blaze Saves Christmas. Available November 6, this high-speed collection of holiday and winter episodes follows Blaze and his friends as they deliver presents on Christmas, save a little bunny, catch a cake and put their newfound ninja skills to the test. Produced by Nickelodeon Home Entertainment and distributed by Paramount Home Media Distribution, Blaze and the Monster Machines: Blaze Saves Christmas will be available just in time for the holidays - for the suggested retail price of $10.99. Monster Machine Christmas - When Crusher sends Santa's magic bag of presents flying, he must team up with Blaze and AJ to quickly deliver all the presents by Christmas morning. Breaking the Ice - Robot Blaze climbs, grinds, and ziplines his way to save a little bunny trapped on top of a melting glacier. Catch That Cake! - After Crusher sends Darington's birthday cake rocketing away, it's up to Blaze to get it back in time for his party. Ninja Blaze - Ninja Master Blackbelt is training Blaze and AJ to become powerful ninjas when Crusher and Pickle accidentally launch themselves onto an icy mountain. Now, Blaze and AJ must use their new ninjas skills to rescue them. 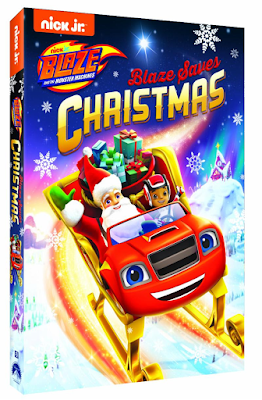 Win: One lucky winner will receive a copy of Blaze and the Monster Machines: Blaze Saves Christmas on DVD! To enter, comment on your favorite holiday tradition. The deadline for entries is November 5, 2018 11:59pm HST. If you submitted an eligible entry and it is chosen by random.org as the winner, you will be notified via email on or about November 6, 2018 (make sure your email address is in your profile or comment and be sure to check your junk/spam, etc. folders) and will have 3 days to respond. My favorite Holiday tradition is baking cookies with my family. Thanks for hosting the giveaway. I am definitely a christmas cookie baker...for the holidays. My favorite holiday tradition is opening one gift on Christmas Eve. I like that we celebrate christmas on christmas eve. Baking Christmas Cookies with Mom! I like cooking all the special dishes that we only make this time of year. I also allow myself to binge a little and go off my diet. I keep very close tabs on my eating habits since I lost 80 pounds a few years ago. Baking cookies and watching Hallmark movies or classic Christmas movies is my favorite tradition! 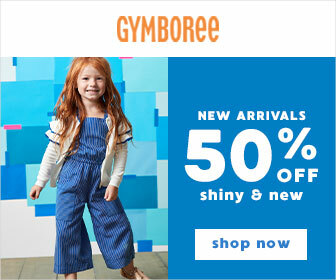 My grandchildren absolutely love making cool Christmas gifts for an exciting time. I have granddlchildren that definitely like making amazing Christmas stockings for lots of entertaining fun. My nieces and nephews really enjoy creating a marvelous gingerbread house for a neat and fun experience. Wonderful Christmas cookies, my grandchildren always like to make for some nice fun. I have nieces and nephews that really like to help put up a fabulous Christmas tree for a very fun time. My many children just enjoy making awesome Christmas ornaments for a great time. My favorite holiday tradition is eating tasty food with loved ones.